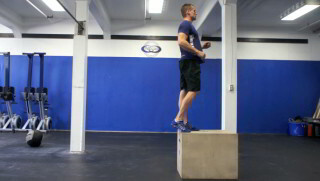 The box step up is a lower body exercise that targets the glutes, quads and hamstrings. This exercise is suitable for all fitness levels. The beginner plyo jump is a lower body exercise that builds strength and explosive power in the legs and buttocks.